A single tear ran down my cheek as I jumped off the scale and hugged my mom, what once read “error,” now said a number. As long as we had owned that scale I had never been able to get on it and have it ever say anything but “error.” When I was a child I was referred to as having a healthy appetite, in middle school it went from having a healthy appetite to being big boned, and by high school I was known as the fat chick. After high school when I went to apply for a job I was given funny looks, it might have been paranoia, but all the looks told me that no one wanted to big lazy person working at their store. All of these feeling changed on May 15, 2006 and because of the wonderful staff of Bariatric Surgery Specialists I have am actually living my life and not just existing. 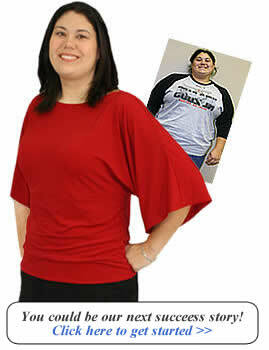 At my peek weight I was 340 pounds and also had borderline high blood pressure. Work was torture because of being overweight I had problems standing for long periods of time and I developed a problem with my sciatic nerve in my leg. It would hurt so bad that I would feel like there were pins and needles sticking in my thigh and the pain would not go away, I started taking pain medicine before work everyday just to make the pain bearable. At work I befriended a lot of people that actually saw me for me, but, it took a lot of hard work to prove to everyone that I wasn’t a lazy person but someone that worked just as hard as everyone else. After a while people began to respect me and invited me to join them for lunch or to sit with them on breaks. Although my coworkers saw me as an equal, they never truly saw my struggle to appear normal. My weight presented such a problem because I would become out of breath very fast, and of course the sciatic nerve problems did not help. I had no energy and all I wanted to do after getting off a shift was go home and sleep. I would shut myself in my room and watch television or get on the internet for hours at a time, only emerging to eat. Although my coworkers saw me as a hard worker, none of them included me in any outside of work activities, which I believe caused me to go into a state of depression where I turned even more to food than before. Food was my comfort, I became a binge eater and would eat a lot of food when no one was home that way no one could see what I was eating or how much I was eating. After I attempted numerous diet plans such as Atkins and Weight Watchers and after I could no longer fit into the pants at Lane Bryant I realized that I had a serious problem and that I needed to seek help. My mother and I attended a seminar at BSS in October, soon after that we were headed into our approval stage. Mom and I saw Sunny, the dietician, for a professionally assisted diet program for 90 days. 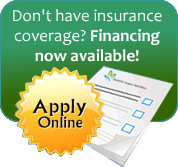 Once we finished our program the papers were sent into the insurance company for approval. While awaiting approval from the insurance company I was given very discouraging news, the insurance company had “misplaced” my paperwork and it would take even longer for me to be approved, after my mom had already been approved for the surgery. After waiting another two weeks I was given some of the best news in my life; I was approved to have the gastric bypass surgery! The next step after insurance approval is to get all blood work done, yet another hump in the walk of life because I was again given discouraging news; my iron was low and I would have to wait at least another 3 months to have my surgery. I decided that I would take all the recommended iron and go to my regular physician to see if there was anything that I could do to help speed up the process. My personal physician rechecked all of my blood work and my iron came back normal. By this time finals were right around the corner so rather than schedule my surgery in April (like my mom) I waited until May 15. That way I would be finished with school and could concentrate on recuperating from my surgery. My new life began on that day. I soon found that I was able to walk up the stairs without being out of breath. Walking down the street to the mailbox was no longer a chore, but something I enjoyed. I now take for granted that I can sit in a booth at a restaurant and not have to request a table. I also enjoy the fact that I don’t have to lift up the armrest in the movie theater to make myself fit. I love shopping. Not just to buy clothes but walking in the mall. I no longer feel the pain in my leg and I no longer become out of breath when I walk around. I love my new life. I cannot imagine what life would be like now if I had not gone through with the surgery. I don’t think I would be living. I would just be existing. I would still be that same girl that stayed indoors and did not go out for anything. I smile so much now that sometimes I find that my face hurts. I take pride in my appearance - something that I haven’t felt in years. I have been asked many times if I had the chance would I go through the surgery all over again? My answer is always the same, yes I would. There is not a doubt in my mind that this is the best thing that has ever happened to me. I now have a second chance at life and this time I am going to do it right. I eat right, exercise when I can and I am adamant about taking my vitamins everyday. Six months ago I would have never said any of those things, but six months ago I was also 120 pounds heavier and 8 sizes bigger. I am grateful to my loving family and friends and all the wonderful staff at Renaissance hospital as well as my new loving family from BSS. Without you guys I would not have had the strength to do this. You guys are my rock and I love you all so much!